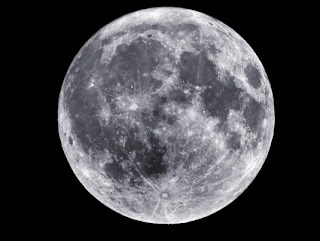 Tonight will be a full moon, on the eve of the moon's perigee, it's closest point to the Earth for 19 years. Apparently, science-y types call this a perigee-syzygy. Which is why the rest of us call it "supermoon." But I guess we're getting excited for this? I mean, the moon will look 14% bigger than usual. And then it'll be brighter. But am I going to care, really? Should I? Sure, maybe I'll look up if I happen to remember at a fortuitous moment, but what am I really going to be looking at? "Oh, yeah, that's definitely the moon, alright. It's sure … round, and all. No, that doesn't look at all exactly like it has for the last 9.5 years because my brain isn't capable of discerning such small incremental change throughout a full apogee-perigee cycle. No, it's definitely bigger. I can tell." This was actually the third hit for "Super Moon" on Google.